A valve actuator is the mechanism for opening and closing a valve. Manually operated valves require someone in attendance to adjust them using a direct or geared mechanism attached to the valve stem. 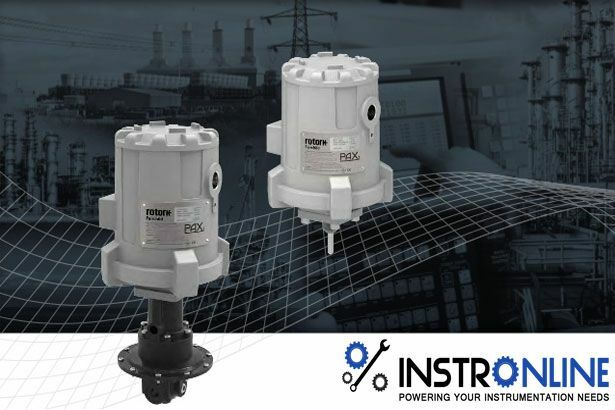 Power-operated actuators, using air pressure, hydraulic pressure or electricity, allow a valve to be adjusted remotely, or allow rapid operation of large valves. These valve actuators may be the final elements of an automatic control loop which automatically regulates some flow, level or other process. Actuators may be only to open and close the valve, or may allow intermediate positioning; some valve actuators include switches or other ways to remotely indicate the position of the valve. Advantages and Disadvantages of Valve Actuators like Spring and diaphragm Actuators, Pneumatic piston Actuators, Electric Actuators, Hydraulic Actuators. Spring and diaphragm pneumatic actuators can be “direct-acting”, meaning that air to the diaphragm casing pushes the actuator stem downward. This “air-to-close” action compresses the spring, which in turn pushes the actuator stem back up when the supply pressure is decreased or lost. Additionally, spring and diaphragm pneumatic actuators can be “reverse-acting”, meaning that air to the diaphragm casing causes the actuator stem to move upward. This “air-to-open” action compresses the spring, which in turn causes the actuator stem to move downward when supply pressure is decreased. Spring-based actuators hold back a spring. Once the command was sent to the valve, or power is lost, the spring is released, then it will operate the valve. A pneumatic control valve actuator converts energy (typically in the form of compressed air) into mechanical motion. The motion can be rotary or linear, depending on the type of actuator. A Pneumatic actuator mainly consists of a piston which develops the motive power. It keeps the air in the upper portion of the cylinder, allowing air pressure to force the diaphragm or piston to move the valve stem or rotate the valve control element. An electric actuator is powered by a motor that converts electrical energy into mechanical torque. The electrical energy is used to actuate equipment such as multi-turn valves. Hydraulic systems work because of Pascal’s law, which states that an increase of pressure in any part of a confined fluid causes an equal increase of pressure throughout the container. If force is applied to one part of a hydraulic system, it travels through the hydraulic fluid to the rest of the system.